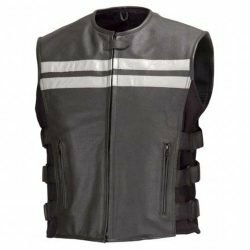 We offer one of the largest selections of high visibility motorcycle vests online. We offer high visibility vests in textile and mesh fabrics. Most of our high visibility biker vests are mil spec compliant. This means you can ride on military bases and other installations with these high visibilities biker vests. Some of our high visibility biker vests are designed to have built-in removable armor. 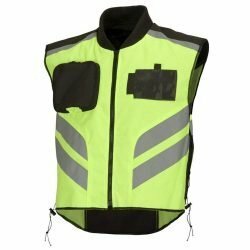 Most of these high visibility biker vests are designed to go over your regular clothing. Be sure to check our high visibility vest product pages for details. If you have any questions about Wicked Stock’s selection of motorcycle vests, feel free to shoot us a line or give us a ring.